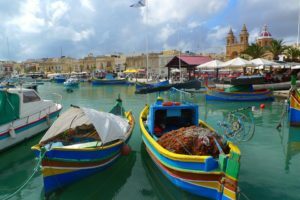 Deep Rooted Problems, Great Expectations: can the Ministerial declaration and regional plan of action signed recently in Malta turn the tide of fortune for small-scale fisheries in the Mediterranean and Black Sea? 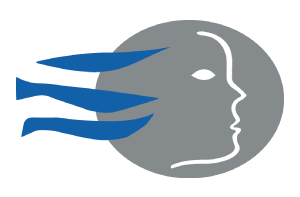 On 26 September in Malta, 18 Mediterranean and Black Sea coastal states committed themselves to developing “objectives, principles and concrete actions” to be applied across the region through a regional plan of action (RPOA) and thus “to ensure the long-term environmental, economic and social sustainability of small-scale fisheries”. Such a political commitment was made possible thanks to the joint efforts of the General Fisheries Commission for the Mediterranean and Black Sea (GFCM) and the European Commission. The RPOA is the culmination over 5 years of steady joint work by these two bodies, initiated in 2013 at the First Regional Symposium on Sustainable Small-Scale Fisheries in the Mediterranean and Black Sea, held in Malta, and organized by the GFCM in collaboration with the FAO and other partners. In fact, small-scale fisheries have been on the GFCM agenda since 1980, rooted in a Resolution calling on its members for “the definition of a national strategy indicating in particular the place of artisanal fisheries in management schemes”. Small-scale fisheries and the Mediterranean and Black Sea have for long been on the agenda of the GFCM, but it is only relatively recently that the EU seems to have woken up to their importance. Until the launch of the reformed CFP in 2014, small-scale fisheries were considered a national issue and outside the purview of EU policy. Step by step, the socio-economic and strategic importance of small-scale fisheries as an integral component of European policy to sustain fisheries and fishing communities is gaining recognition. Europe’s forgotten fleet is being rediscovered, albeit late in the day! Source: Scientific, Technical and Economic Committee on Fisheries (STECF). The 2018 Annual Economic Report on the U Fishing Fleet (STECF 18/07). If small-scale fisheries are Europe’s rediscovered fleet, then the Mediterranean and Black Sea are its most neglected sea basins. Although the Common Fisheries Policy (CFP) was established in 1983, until 2006 the Mediterranean and Black Sea fell outside its purview. That is now changing through a process of steps. Launched in Catania in 2016, the MedFish4Ever process was designed to build political consensus among all Mediterranean stakeholders towards obtaining a commitment from all EU and non-EU countries to take concrete actions to address the dire fisheries situation in the region. Within the framework of the CFP, a series of multi-annual plans are being developed to cover stocks in different regions, starting with demersal stocks in the Western Mediterranean and pelagic fisheries in the Adriatic. What are small-scale fisheries in the Mediterranean? Under the RPOA, small-scale fisheries in the Mediterranean and Black Sea are to be characterized “as soon as possible” according to a set of indicative criteria “reflecting their socio-economic relevance and specificities”. Given the highly diverse nature of small-scale fisheries in the region and the lack of a simple cut off point between different fleet segments (small-scale, semi-industrial, large-scale, industrial, inshore, offshore, coastal, deep sea etc.) the GFCM proposes to apply a “matrix approach” being developed by the FAO. Such a matrix may include characteristics spanning across governance (policy, legislation, access and tenure), economic (taxation, subsidies, special preference) and management (regulation, gears, zoning). The matrix provides users with a tool to describe a fishing unit across multiple dimensions or characteristics of scale. The flexible nature of the matrix means that the fishing unit being assessed can either be an entire fishery/fleet, a part of it, or an individual vessel/ fisher. This flexibility allows the matrix to be applied to diverse types of fishing activity around the world. Applying the matrix generates an aggregate score for the given unit under assessment, with relevance for discussions of scale. A given fishing unit may have characteristics typically associated with both smaller-scale and larger-scale fisheries, so many will receive lower scores in some categories and higher scores in others. Scoring allows for an objective characterization of the fishing unit, indicating whether it tends towards small-scale or large-scale. Once scores from all the categories are aggregated, an overall picture emerges that facilitates differentiation between larger- and smaller-scale fisheries. By analysing different scores for different fishing units, it is possible to determine if there is a clear cut off between distinctly small-scale fisheries and distinctly large-scale fisheries. In theory, if the matrix is working well, it should highlight those fisheries which may be on the edge of small-scale and large-scale (e.g. a small vessel with a high-powered engine and large-scale level of fishing effort), assigning them their own category. Furthermore, by incorporating multiple dimensions, the matrix approach seeks to avoid misleading or inappropriate characterizations of fisheries as small-scale or large-scale, which can sometimes occur when a single criterion, such as vessel length, is emphasized. The Ministerial Statement highlights the strength in numbers of small-scale fisheries in the region (80% of the fleet by number, 44% of the capacity, 62% of employment aboard fishing vessels and 24% of the landed value), their socio-economic value, relatively low environmental impact and importance for food security. The statement also draws attention to endemic problems besetting the sector: the lack of a voice and lack of access to decision making processes; lack of access to resources, to markets, to credit and to support; and the limited capacities of the sector in terms of human capital. These problems make the sector particularly vulnerable to the impact of other marine activities, such as marine pollution, habitat degradation, biodiversity and resource depletion, and to the encroachment of other activities in the areas it has traditionally occupied. In this regard, the RPOA highlights the need to both ensure that small scale fisheries are taken account of in marine spatial planning at national and regional level, and that the sector is specifically represented throughout the entire process. Although the RPOA is non-binding, it is a historic step, and places small-scale fisheries centre stage in the bid to reverse the declining fortunes of the Mediterranean and Black Sea. The RPOA is the first instrument to be adopted by any Regional Fisheries Management Organization (RFMO) that goes beyond the management of fisheries to address such issues as social inclusion, decent work, social protection, the role of women, the participation of small-scale actors in management and decision-making processes, and the incorporation of traditional ecological knowledge. The RPOA builds on the foundations laid down by the FAO Voluntary Guidelines for Securing Sustainable Small-Scale Fisheries in the Context of Food Security and Poverty Eradication (SSF Guidelines), and draws on and compliments other international instruments including the 1995 FAO Code of Conduct for Responsible Fisheries; 2007 ILO Work in Fishing Convention; and 2015 UN General Assembly 2030 Agenda for Sustainable Development that adopted the Sustainable Development Goals (SDGs). It is a significant step because thanks to the Ministerial statement and RPOA, small-scale fisheries have moved from the periphery to centre stage in the regions’ fishery policies and are now incorporated as part of the solution to the problems besetting the Mediterranean and Black Sea. 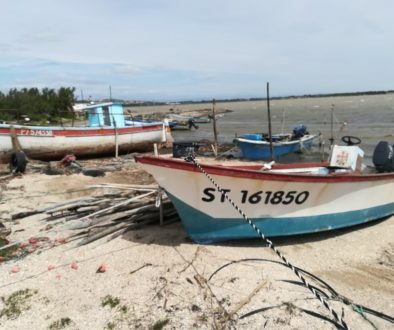 Also, as highlighted by the European Union’s Commissioner for Maritime Affairs and Fisheries, “small scale fisheries (SSF) are the backbone of the fleet, the workers, and the community. They are also the first to feel the pain of collapsing resources. It is therefore important to build the future with them”. Most Ministers highlighted the traditional nature of SSF, and their cultural importance. Few spoke about their importance to food security. Some highlighted the low incomes and poor capacity of the SSF sector to provide decent work. Some mentioned the problems of invasive species and the vulnerability of the fisheries sector. A few mentioned the need for improved data collection. One, Turkey, mentioned “legacy” – the importance of the heritage that we will bequeath to the next generation. Palestine, not a contracting party, although Israel is, made the most passionate speech. The gradual encroachment of Israel as an occupying state into Palestinian waters has reduced its fishing area from 20 nautical miles in 1994 down to 3 NM today. In 2017 there were over 200 unlawful shootings on Palestine fishermen with one fisherman killed and an overall policy of suppression of the sector and the coastal community. The Minister invited everyone to visit his country, to witness “one of the most vulnerable SSFs” and in the “interests of justice”. He reminded that the Sustainable Development Goals (SDGs) were designed to leave no-one behind. He pleaded for the Palestinian SSFs not to be left behind. Spain’s was one of the most supportive speeches of SSF, emphasising its special characteristics, freshness of the product, low environmental footprint, and the important role of women. Of course, the problems besetting the Mediterranean and Black Sea go way beyond fisheries. The semi enclosed nature and large catchment areas of these sea basins make them highly vulnerable to human impact. The Mediterranean is a hot spot of biodiversity with a great variety of marine and coastal habitats including wetlands, lagoons, dunes, reefs, seamounts, canyons, sandy and rocky coasts, which are all important fisheries grounds. The ever-increasing human population, with the coastal population doubling during some tourist seasons, along with expanding economic development has resulted in increased environmental degradation. These vulnerable marine environments face a worrying combination of pollution from land sources and ships, including plastics and litter, from aquaculture production, with impacts on biodiversity and coastal degradation, along with climate change related impacts. These are considerable challenges that such an RPOA alone can’t address on its own. Furthermore, a large proportion of the marine areas are in international waters and fall outside national jurisdictions, making fisheries and the human impact on fisheries even more difficult to manage and control. Therefore, this RPOA needs to be fully integrated into the wider maritime policy spheres, especially the development of the blue economy. It is significant that Malta was chosen as the venue for this historic signing. Over 90% of the Maltese fleet is comprised of small-scale coastal fishing vessels (under 12 metres using non-towed gears), numbering some 950 vessels. Traditional Maltese fishing boats are made of wood, and use a wide variety of gears – nets, traps, hook and line, along with ancillary equipment like fish aggregating devices (FADs) made from palm fronds, and lampara vessels to attract shoals of fish at night. However, as with small-scale fisheries across the Mediterranean and Black Sea region, this once vibrant fishery sector is facing a number of big challenges. These challenges were discussed at an informal gathering of Maltese, Cypriot and Italian (Pantelleria island) small-scale fishers hosted by the Malta College of Arts, Science and Technology (MCAST) ahead of the Ministerial summit, and attended by the Maltese Minister for Justice, Culture and Local Government. Cheap labour of migrant workers in fishery operations. Unregulated sports fishing across the Mediterranean. The promotion of “Blue Economy” activities (tourism, aquaculture, energy generation, bioprospecting, seabed mining, oil and gas extraction etc.) that impose themselves in areas traditionally occupied by small-scale fisheries. A particular problem across the Mediterranean highlighted by all the fishers is the rapid colonisation by invasive species from the Red Sea, along with the displacement of traditional species. Two of the main culprits are the rabbit or toad fish (Lagocephalus sceleratus), and the lionfish (Pterois miles). The toad fish can grow up to 1 metre in length and weigh as much as 7 kgs, with sharp teeth that cause extensive damage to fishing nets. Additionally, it has no commercial value as it is highly poisonous. The lionfish is a voracious predator with highly venomous spines that can inflict severe pain and even death. Both fish are also hazardous to the environment; the toad fish is a bottom feeder and can cause extensive damage to seabed habitats, and the lion fish is highly predatory. The lion fish makes good eating but is difficult to handle and is not well known to consumers. In other parts of the Mediterranean the Blue Crab (Callinectes sapidus), native to the Eastern seaboard of the Americas and a voracious predator on shellfish, has become a cause for concern in the South of France and East coast of Spain. Last but not least, across the Mediterranean the unregulated fishing activities of leisure boating, both through displacing fishers from their harbours and through their fishing activities impacting on stocks, be it for sport or their own consumption through their sheer numbers. 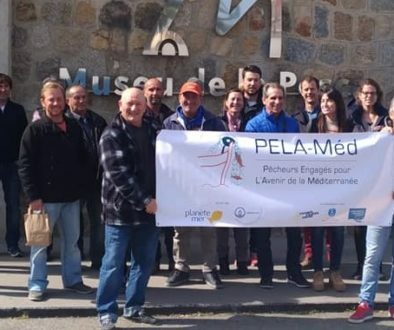 For the Low Impact Fishers of Europe (LIFE) one of the principle benefits that the RPOA could deliver on is improved governance through co-management. An entire section is devoted the “participation of small-scale fishers in decision making processes”. Linked to this is the call of the RPOA “for fisheries management plans with specific rules designed to ensure preferential access for sustainable and low-impact fisheries along the coastal band.” Such preferential access will only bring benefits if coupled to a system of genuine co-management where both responsibility and decision-making power are devolved to co-management committees, and where small-scale fishers are empowered to form and run their own autonomous organizations. For LIFE, the top down model of command and control fisheries management as applied in the Mediterranean has become dysfunctional. Small-scale fishers have been alienated from management decision-taking processes, and, combined with a lack of capacity and political will at national level to enforce regulations, this has encouraged overfishing, habitat destruction and Illegal, Unregulated and Unreported (IUU) fishery activities. In such a context, new forms of governance are required that build trust and cooperation between national authorities and fishery stakeholders, promote co-responsibility, and which unite them in the common purpose of sustainable fisheries and in the fight against IUU fishing and organized fishing crime. This requires a paradigm shift away from a top down command and control approach to a bottom up approach based on co-management. Around the Mediterranean there are examples where relatively small, localised, and often informal co-management projects have successfully brought state and non-state actors together and facilitated a dialogue and collaboration between them, establishing a basis for co-responsibility and improved acceptance of legally binding regulations, which in turn is contributing to addressing IUU practices and social conflict. Of course, co-management is not a panacea, but could provide an important management tool honed for managing small-scale fisheries, to be used alongside others (including closed areas reserved for small-scale fisheries, effort control, etc.). In this regard, co-management has the potential to empower fishers and build their capacities to become responsible and competent actors in fisheries management. There seems to be a critical mass of efforts in co-management that are now coming together: the recent incorporation of co-management into fisheries law in Catalunya through a decree, putting co-management alongside MSY, MCS, technical measures etc. is an inspiring example. 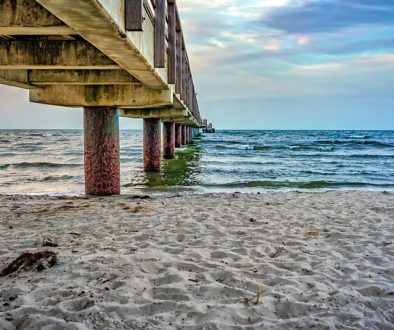 There are also many relatively small local initiatives associated with MPAs that are beginning to reach a critical mass and joining up through networks and scaling up initiatives. The Ministerial commitment to supporting small scale fisheries through the RPOA is both timely and necessary. We hope the positive political will fostered over the last 5 years will ensure that the necessary resources are invested in putting the RPOA into practice, and to transform the ink on paper into action at the grass roots.